Vertebropasty and kyphoplasty are two innovative, minimally-invasive, non-surgical procedures that have proven to strengthen the vertebrae of your spine and significantly improve pain caused by vertebral body compression fractures. Fractures are often secondary to osteoporosis, cancer metastasis, or trauma. 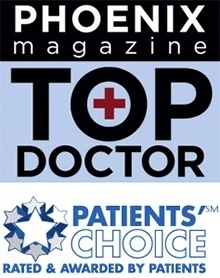 Arizona Pain Specialists is happy to provide these treatments to the Phoenix area. These exciting new therapies have helped people even when conservative therapies have not provided adequate relief (De Negri 2007). Vertebroplasty is a frequently-used, ground-breaking procedure that has proven to reduce pain, increase vertebral body height, and decrease wedge angle without worsening of the retropulsion of the vertebrae (Hiwatashi 2007). Kyphoplasty has also been shown to restore vertebral height and vertical alignment that was damaged by the collapse of the vertebrae. Patients with compression fractures typically exhibit kyphosis. 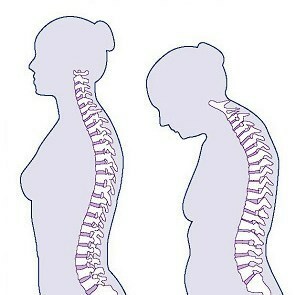 Kyphosis or “hump back” is curving of the spine due to the collapse of the vertebrae. This can be very debilitating and embarrassing for the person who experiences it. In a 2006 study, kyphoplasty was shown to enhance height reduction and accounted for over 80% of the height restoration that was lost. Kyphoplasty also showed that 90.7% of fractures improved following procedure (Shindle 2006). If height restoration is considered to be a goal, then kyphoplasty may have some advantages over vertebroplasty. As with all medications and surgical procedures, there is always a risk of complications. Kyphoplasty and vertebroplasty are considered appropriate non-surgical, minimally-invasive treatments for many patients who suffer from back pain. 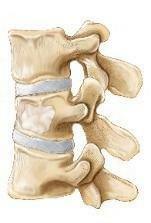 Some of the associated risks that can be produced are from the leak of acrylic cement outside of the vertebral body. Although severe complications are extremely rare, it is important to know that infection, bleeding, numbness, tingling, headache, and paralysis may ensue due to misplacement of the needle or cement. This particular risk is decreased by the use of X-ray or other radiological imaging to ensure proper placement of the cement. Although there are potential risks, published studies indicate that kyphoplasty and vertebroplasty are safe methods of treating painful vertebral compression fractures, and complications are rare with these procedures (DaFonseca 2006) (Hiwatashi 2007). A balanced diet, regular exercise, weight lifting, calcium, vitamin D supplements, and biosphosphonates (like Fosamax) may help prevent additional compression fractures due to osteoporosis. These treatments strengthen bone and prevent further loss in bone density. If you do suffer a painful compression fracture, you may be a good candidate for minimally-invasive procedures that have been proven effective, including vertebroplasty and kyphoplasty (Old 2004). Vertebroplasty and kyphoplasty are exhilarating new techniques that provide therapeutic benefit by significantly reducing pain and improving mobility in patients with vertebral fractures. In a 2007 report, it was noted that 95% of people treated with these procedures showed partial or complete immediate pain relief (Hiwatashi 2007). The American Society of Interventional Pain Physicians developed a large evidence-based practice guideline for the management of chronic spinal pain with interventional techniques. The article stated that for vertebral augmentation procedures, the evidence of relief and improvement is moderate for both vertebroplasty and kyphoplasty. (Boswell 2007). If you are suffering from chronic back pain due to a compression fracture, contact Arizona Pain Specialists today to see if you can benefit from these state of the art treatments. Testimonial from Arizona Pain Specialists patient Dan Foley. Dan suffered a spinal injury in his L1 vertebra due to a quad accident. Dr. Paul J Lynch talks about the wedge fracture and the vertebroplasty procedure.